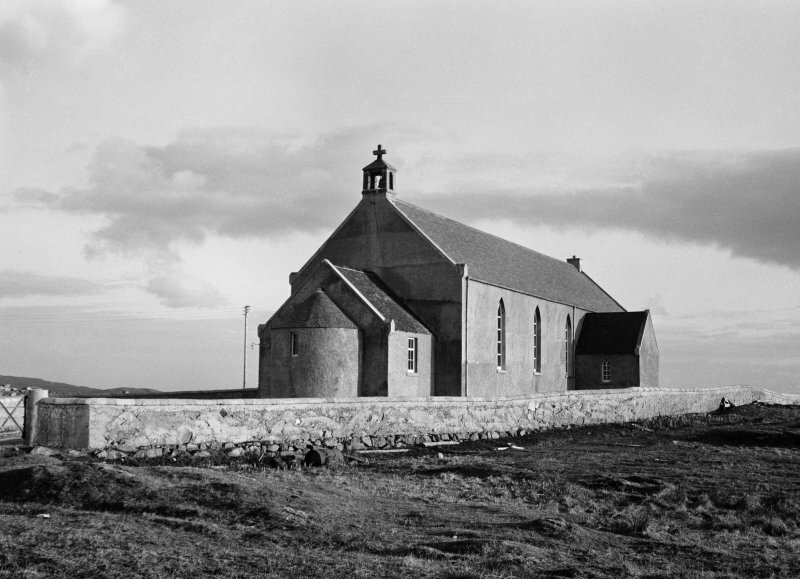 St. Mary's Church (RC), 1837/8 Solitary oblong church with the stark but haunting simplicity of Ardkenneth Church. Like that church too, it originally had the priest's house combined under the same roof, although this was remodelled as the chancel by A. R. Conlon (trainee of Fairlie's), c.1955. Conlon also enhanced its austere profile with the addition of modest wings, balancing a vestry and lady chapel on either side, with a porch and apsed baptistery off the east end.